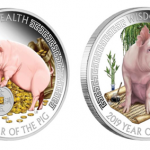 Which Medals can be Given to the Head of State? Do you know which medals can be given to the Head of State ? I guess that you may don’t know. 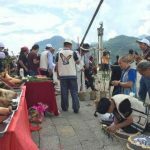 Now, follow me and know more about it! In general, we can classify military medals according to two categories. English meritocracy is the oldest existing system of honor in the world, dating back to the reign of Henry iii of England. By the 13th and 15th centuries, the system was in general shape. In the late middle ages, Britain began to use the order of merit to reward military achievements. After centuries of change, the British honor system expanded to the fields of science, culture and art, forming the modern British meritorious service system. 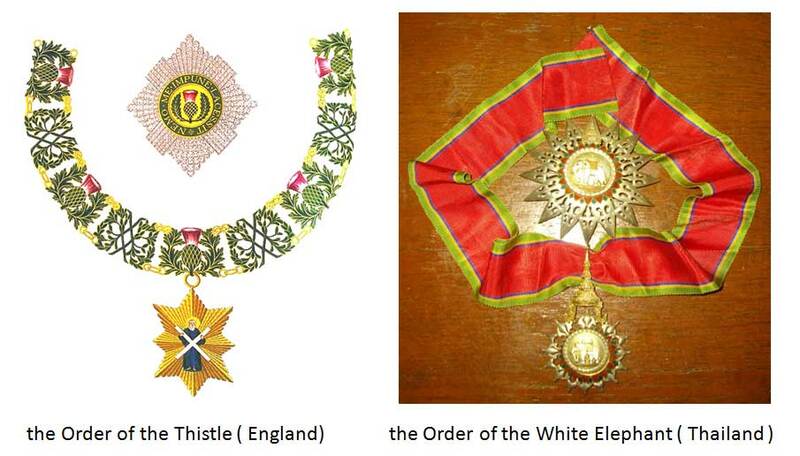 The highest honors of the Noble Lord system are the Order of the Thistle of the United Kingdom, Leopold Medal of Italy, the Order of the White Elephant of Thailand and so on. Germany’s current honor system began in the Weimar republic and flourished during the third Reich. It is characterized by a high degree of militarization, covering a wide range of military types. As a military government, the Beiyang government has existed for a short time, and only a few kinds of medals have appeared. The most famous medals of the former republic of China were the “National Medal of Honor” and the “Jade Medal” that Jiang Jieshi awarded to himself. The most famous Japan’s medal is the Daisy corsage. Modern republics were generally founded during the revolutionary war, and, in the early years ,the honor system was concentrated in the army, but with the establishment of the government, non-military honor also developed rapidly. Taking France as an example, the contemporary honor system is originated from the legion of honor established by Napoleon in 1802. After the end of the 19th century, more than ten professional “ministerial medals” were added. 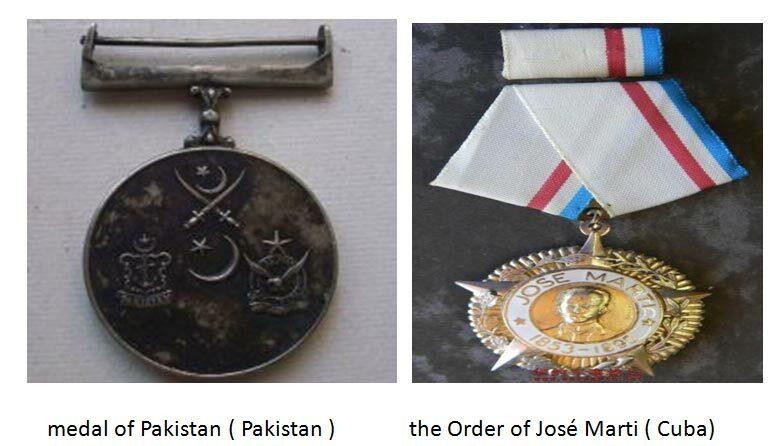 In the system, the famous medals have the Order of José Marti ( Cuba), the Order of the Liberator (Venezuela), medal of Pakistan ( Pakistan ) and so on. In Soviet Russia and central Asian countries, the system of merit and honor has a long history. After the October revolution, the honor abuse phenomenon was serious. 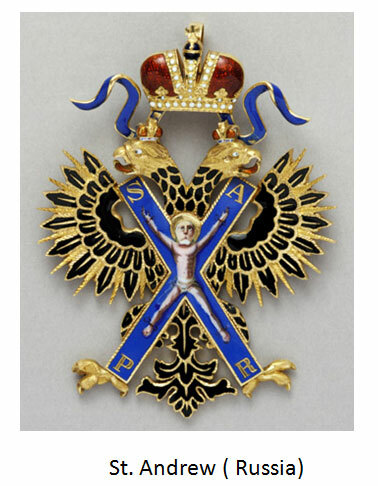 After the collapse of the Soviet union, Russia retained some titles and the treatment of the winners of the Soviet union, also re-established and restored part of the Russian honor system, including the most famous medal of st. Andrew. The medal of the ribbon is usually worn on the chest or the collar. The form is most commonly seen in military medals, but is less common among the highest medals in the modern world. The form is usually worn crosswise with the medals hanging at the waist. 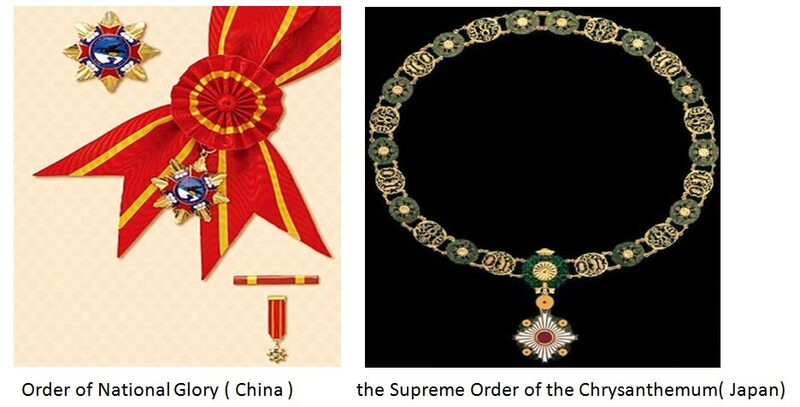 Some of the same highest ribbon medals also have a simplified version of the ribbon (before the republic of China), and there are also upgraded version of the combination of neck decoration (Japan). Simply, it is the combination of inner crown type and ribbon type. Now you must have a general idea about the medals of the Head of the State, right?